Welcome to the Ice House Lofts! This historic building has been transformed into 6 unique condos. This unit features a walk out private rooftop terrace with amazing views of the downtown skyline. Original wide-plank wood floors throughout, vaulted ceilings and exposed ductwork. The kitchen features quartz countertops and stainless steel appliances. It also features 3 bedrooms and 3 baths and 1 deeded parking space. 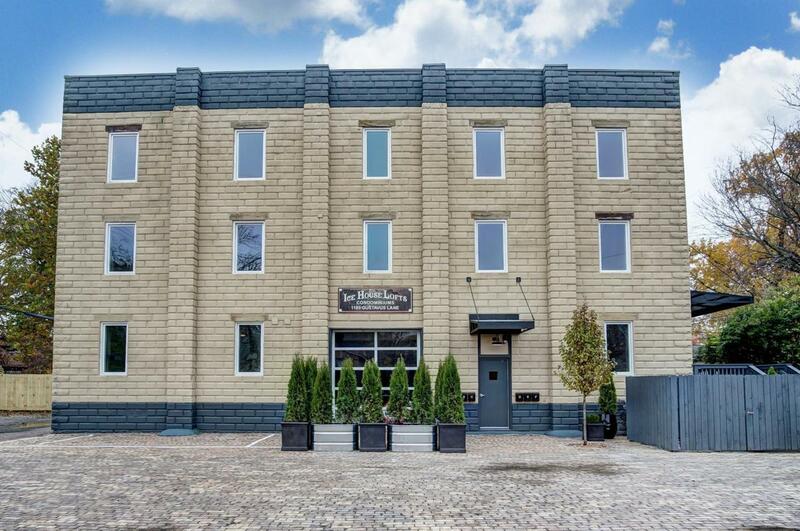 Great location--microbrewery and restaurants being built around the corner, not far from Trolley Barn project and Franklin Park, close to downtown--city living at its finest! SPECIAL FINANCING AVAILABLE--5% DOWN, NO PMI, POSSIBLE $7000 IN GRANT MONEY!! !